Thomas Masterson is director of applied micromodeling and a research scholar in the Levy Economics Institute’s Distribution of Income and Wealth program. He has worked extensively on the Levy Institute Measure of Well-being (LIMEW), an alternative, household-based measure that reflects the resources the household can command for facilitating current consumption or acquiring physical or financial assets. With other Levy scholars, Masterson was also involved in developing the Levy Institute Measure of Time and Income Poverty (LIMTIP), and has contributed to estimating the LIMTIP for countries in Latin America, Asia, and Africa. He has also taken a lead role in developing the Levy Institute Microsimulation Model, which he is currently extending in order to assess the inequality impacts of carbon regulation. Masterson’s specific research interests include the distribution of land, income, and wealth. 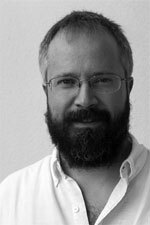 He has published articles in the Eastern Economic Journal, The Review of Income and Wealth, and World Development, and is the co-editor of Solidarity Economy I: Building Alternatives for People and Planet—Papers and Reports from the 2009 U.S. Forum on the Solidarity Economy, 2010. He holds a Ph.D. in economics from the University of Massachusetts, Amherst.